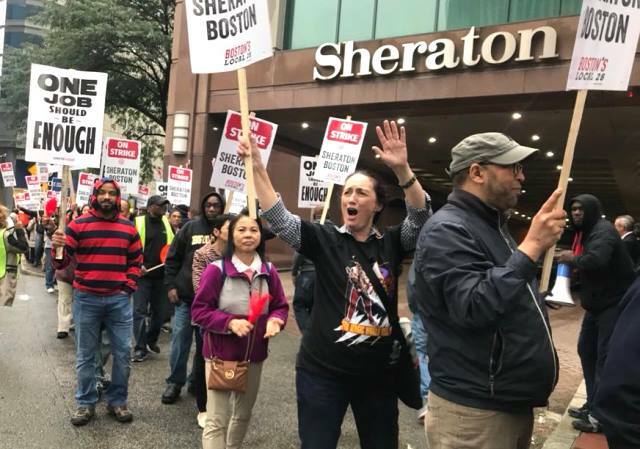 More than 1,500 members of UNITE HERE walked off the job on indefinite strike at 7 Marriott-branded hotels in Boston, USA on October 3 in support of their demand for jobs that are safe and enough to live on. 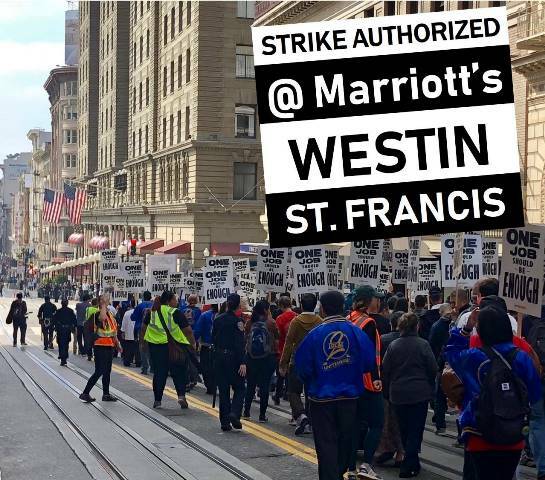 The following day, they were joined by workers at Marriott hotels in San Francisco and San Jose, California, bringing the total number of strikers to 4,000. Lengthy negotiations have failed to meet the union's demands for an agreement which would bring a living wage, job security and improved protection against the sexual harassment which afflicts hospitality workers. 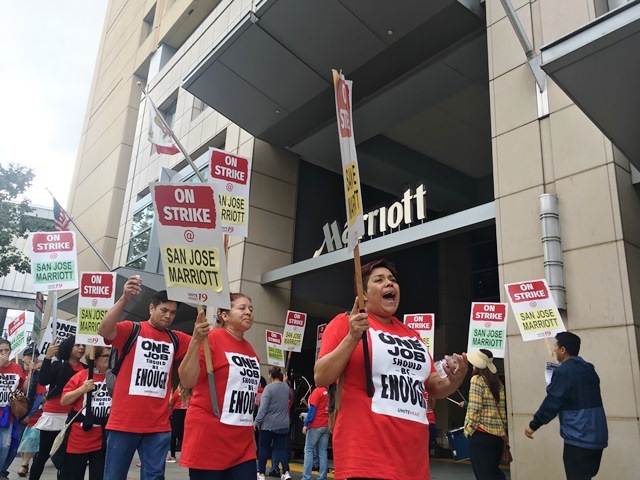 Union members are also preparing for possible strike action at Marriott in other cities across the country after members overwhelmingly voted to authorize strikes if bargaining fails. Marriott, with over 6,500 properties worldwide and new ones opening daily, is the world's largest hotel group and a standard-setter for the industry. The IUF has launched a new website - workersofmarriott.org - to monitor Marriott's compliance with international human rights standards throughout their operations, including the fundamental right of all workers at Marriott hotels to join or form a union and collectively negotiate the terms and conditions of their employment.